Sometimes, you may notice your child is a little slow in some areas, physically or socially. It may be not making eye contact when talking to others. Or it may be that they just can’t figure out how to tie their shoes, even if they should be able to for their age. Or perhaps they really don’t like certain food textures in their mouth. Maybe they cry when you brush their hair. Maybe they can’t hold a pencil properly. What does a pediatric occupational therapist do to help toddlers and children? An occupational therapist helps people who need a little extra hand learning how to go about their daily life. The term “occupational” refers to the ‘occupation’ of being human. That means independence with everyday things, like getting dressed, socializing with others, getting around town, or doing a job they need to do. It’s often things that we take for granted, if we don’t need an occupational therapist. For toddlers and children, occupational therapy can include help that pertains to life at school, at home, or when playing. It can be simple, like practicing how to hold a pen (fine motor skills), keep balance while running (gross motor skills), or learning how to cope with anger. But it can be for more severe cases, like learning how to take a bath on one’s own. You may have heard of some parents who stroke their child’s arm with a brush, to help them get used to sensations on the skin. That is an occupational therapy tactic to solve sensory disorders. 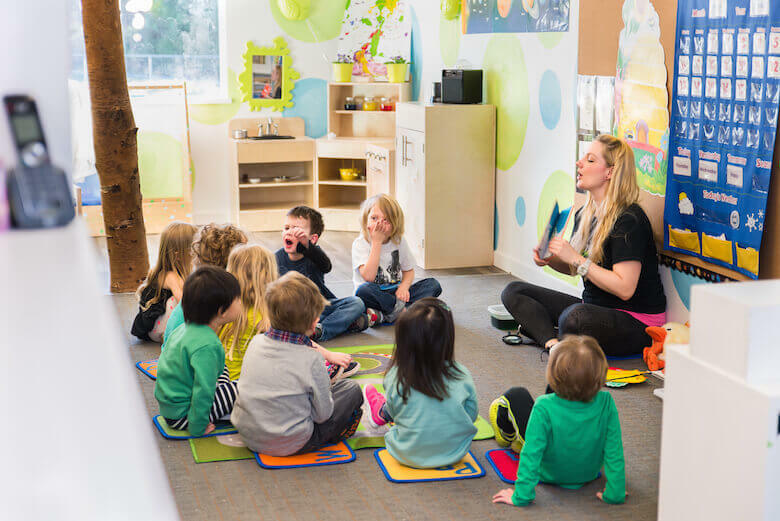 For toddlers it may be that eating, crawling or other developmental tasks may be difficult, which the pediatric occupational therapist would help find a solution for, once they determine the reason. When a child can’t behave like all the rest of the kids, they might feel like they don’t fit in. That can affect self-confidence. And, a lack of self-confidence can lead to a host of other issues. So it’s important not to ignore the need for an occupational therapist, if you notice the symptoms (which we provide resources for below). A pediatric occupational therapist is one that specifically works with children. They may engage in games to help kids learn balance. Or they may suggest assistive technologies to help a child get through school. Assistive technologies can be as simple as fidget toys to help a child stay focused longer. But they can be sophisticated, like with speech-to-text software (TTS) or smartpens. Or they can be practical, like key holders that are easier to turn. Pediatric occupational therapists may also work with parents, or come into the home to assess the environment a child lives and operates in. They may teach parents learn how to do more therapeutic activities with their child, to further the effectiveness of what they’re trying to accomplish. Or they may suggest changes to the home, to make life easier for the child. What types of child disorders does a pediatric occupational therapist help with? While occupational therapists can help all ages with specific setbacks they face, a pediatric occupational therapist works with children who have known disorders or developmental disabilities. These can include those with Autism Spectrum Disorder (ASD), or children with sensory processing difficulties. They also work with children who have experienced brain damage, such as those with cerebral palsy (CP). Sometimes they are in wheelchairs, and other times, the main issue is interacting with others, or risky behaviour that puts them in physical danger. You will notice that a lot of the time, the need for a pediatric occupational therapist goes hand-in-hand with another diagnosis. However, it may not always be that there is a specific ‘thing’ to diagnose a child with that determines if they need occupational therapy. It can also be that the child has suffered an injury that can be helped with occupational therapy during the healing process. So, does your child need an occupational therapist after all? What are symptoms to watch out for? The symptoms that determine whether or not a child needs an occupational therapist can vary. Some of them sound like ordinary, typical things that kids do. For example, if your child has trouble tying shoe laces, as we described above, does that necessarily mean they have a disorder? Maybe not. But if the characteristics seem symptomatic of a larger issue, and especially if you already know of another diagnosis your child has, it may be worth paying more attention to the signs that they need occupational therapy. We also recommend you consult a qualified pediatric occupational therapist for more insight into your child’s case and symptoms. If you are concerned about your child’s habits or abilities during the day while they are at daycare, you can also ask their caregivers to watch for symptoms, and relay information to you about their progress. Usually, when something is obvious, a teacher or caregiver may say something to you anyway. Don’t take this as an offense. They are just looking out for your child’s best interest, based on their training. Even if they turn out to be wrong, it couldn’t hurt to check with your doctor anyway!